Click the image to download the 2019 Sustainable Liberia Spring Newsletter. Is the Why of Sustainable Liberia Compatible with the Great Why of God? Click the image to download the 2018 Sustainable Liberia Summer Newsletter. Yatta, a recipient of Balama Development Alliance microloan loan, now has two businesses that include a cook shop and a roasted cassava stand that her oldest son operates. With extremely limited methods for retrieving clean drinking water, the hand pump in Balama is a life saver for students at Balama Elementary School as well as the community. In rural Liberia, food is preserved primarily through a process called “smoking”, which is called “drying” locally. ​The Balama Development Alliance is committed to ensuring that all girls and boys are able to realize their full potential. ​Palm trees are the primary source of income and livelihood for many Liberian adults and children, including students at Balama Elementary School. Emmanuel is a 13 yr old student at Balama Elementary. He works long hours in the fields and is unable to read without light when he comes home at night. 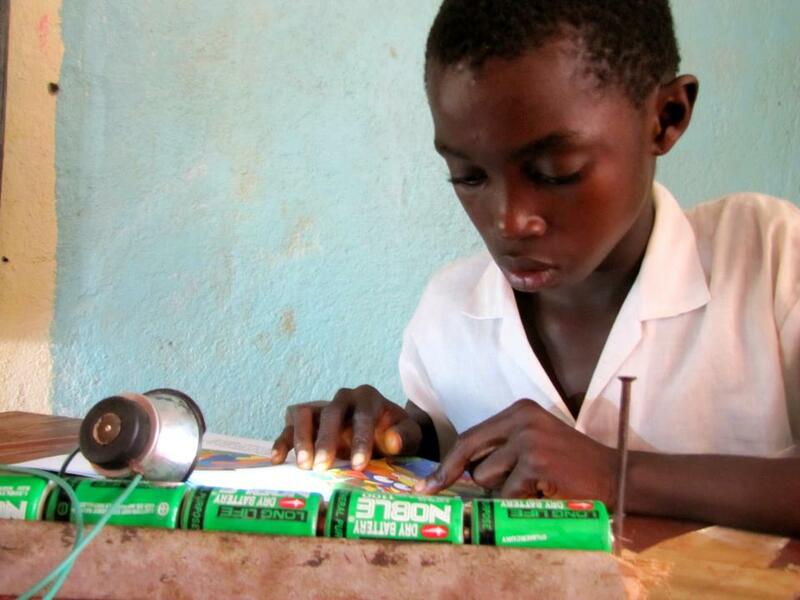 He made his own make shift light out of bamboo and batteries just so he could continue to read and learn.